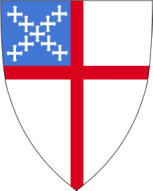 The Nominating Committee is pleased to present the following slate of nominees to the Annual Parish Meeting of Christ Episcopal Church, Guilford, to be held on February 5, 2017. The Committee expresses its gratitude to the nominees for their willingness to stand for election and to serve the parish in these roles. N.B. : Terms expire upon the election of successors, typically at the Annual Parish Meeting on the first Sunday in February of the year given.